Our next stop was Benson, in the Southern Arizona desert, not too far from Tucson and also near lots of great places to explore. We stayed in the Saguaro SKP park, an Escapee Co-op, where we stayed a couple of years ago. It’s a very nice park, and as a bonus our friends Paul and Nina were staying there as well. The park has a first-come first-served policy, but it has an overflow area where RVers can stay while they wait for a full hookup site. We lucked out and got the one spot in the overflow area that had full hookup. Which was great since it was starting to get hot and we needed to run the A/C. After leaving San Diego, we headed to the Arizona desert where we planned to make several stops before landing in Tucson in March. For the next month or so, we moved to six different locations, met friends, had a medical scare (everything turned out ok), had maintenance issues, met more friends and enjoyed the desert. At times we felt like desert tumbleweeds. Oh, and I flew to Puerto Rico for ten days during that time – more on that in a later post. 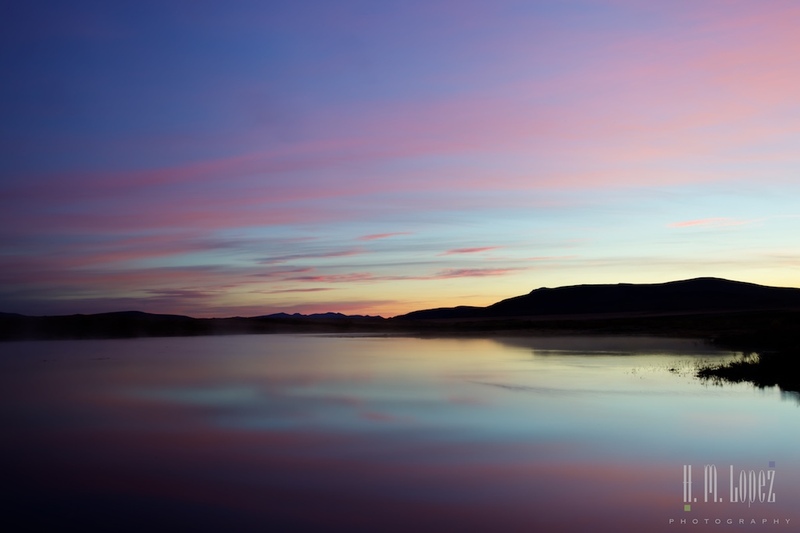 Our first stop was Quartzsite, our third visit in three years during their annual RV show. This year we arrived only a few days before the end of the show, since our main purpose in going was to meet friends. 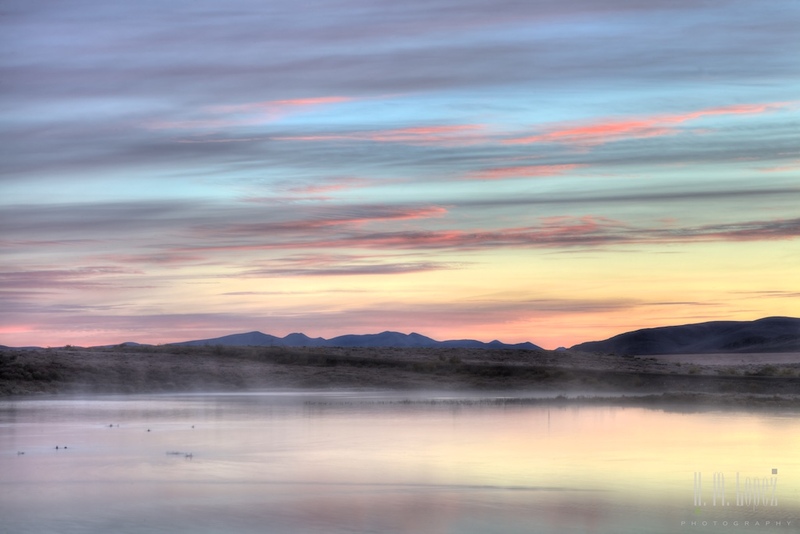 During our drive to Quartzsite I received a call regarding mammogram results from my medical exam in San Diego. Something showed up in the first mammogram, and the doctor wanted me to have a second one and maybe an ultrasound. Medical issues while RVing are always a challenge, but we continued on while we thought about next steps. We boondocked in the Dome Rock area of Quartzsite, the area where we stay every year. During a quick walk through the show we met our friends Jack and Karen and made plans to meet a few days later. Meanwhile, we had to figure out a way for me to get a follow-up mammogram and ultrasound. And, for various mostly insurance related reasons, we decided that it would be best to return to San Diego for the additional tests. Hector had the idea to double back to Anza Borrego State Park, not too far from Quartzite. This would put us day trip distance from San Diego, so we could drive our car to my appointment, thus avoiding crossing the mountains again in Island Girl. We had a couple of days to socialize so we spent part of our time hanging out with our friend Vince who was staying at “our” regular campsite nearby. And we watched some beautiful sunsets. What a year! We travelled to the Arctic Circle and back in 2015. Be warned, this is a looooong post. But we hope you enjoy a quick tour back through this most wonderful year with some of Hector’s favorite images. Island Girl traveled a total of 12,345 miles. 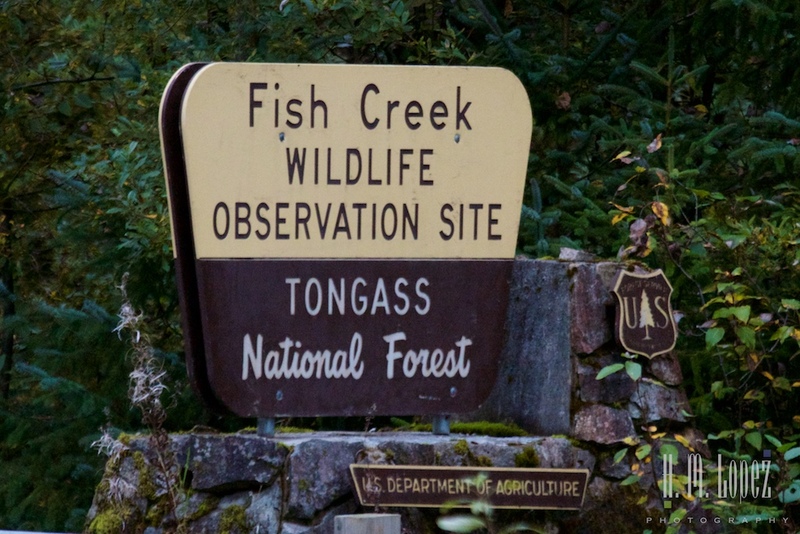 We stayed in 88 campsites (29 of them were overnights and 61 were dry camping). Visited 10 States, 2 Canadian Provinces and 1 Canadian Territory. And 6 veterinarians in 5 states and 1 Canadian Territory. 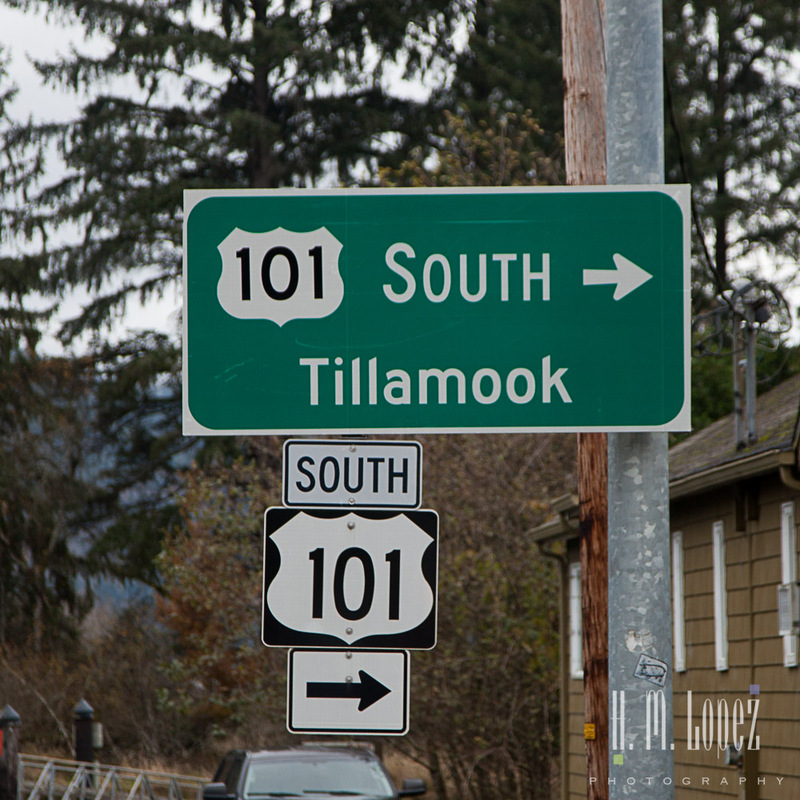 Our next stop was along the central coast of Oregon, not too long of a drive but longer than our last one. 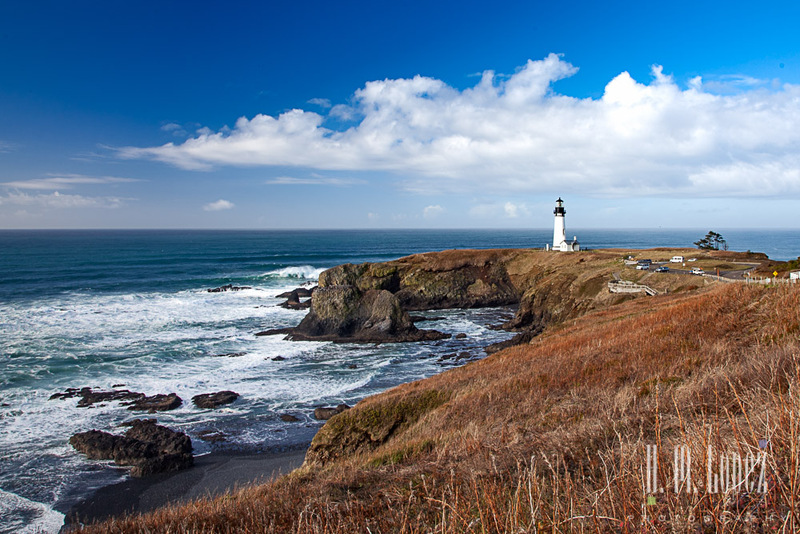 The coast of Oregon has an endless amount of rocky beaches and coast and many interesting lighthouses and the town of Newport is a great location from which to explore some of those. The last time we stayed in this area we stayed in a marina in the town of Waldport a little further north and really enjoyed it. This time we decided to try the marina in Newport. 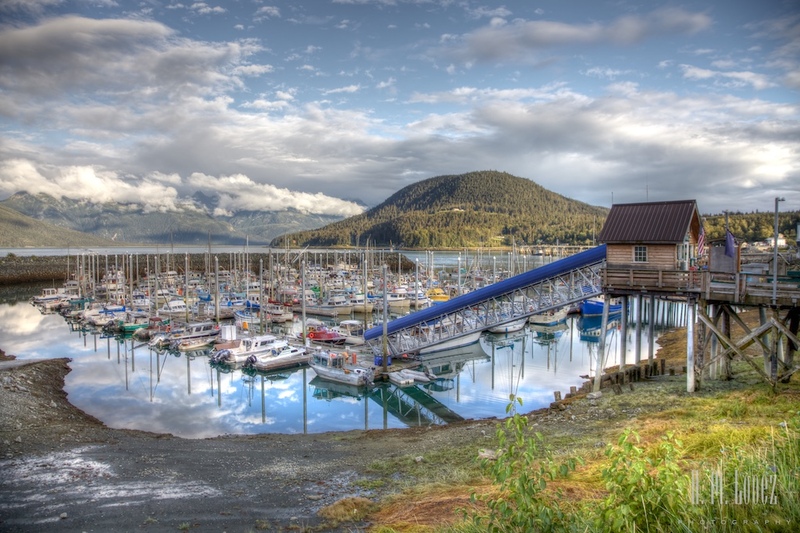 Both of these marinas offer dry camping at cheaper rates than the Oregon State Parks. The marina is also walking distance from the Rogue Brewery, so good beer was in our future. 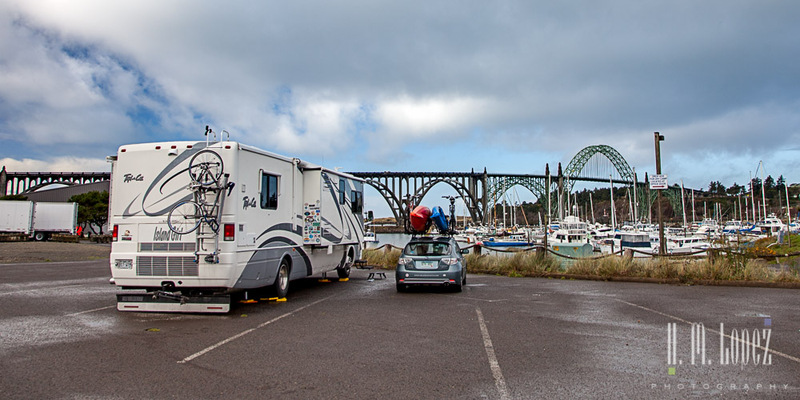 And we were the only RV in the dry camping area of with a lovely view of the small boat harbor and the Yaquina Bay Bridge. 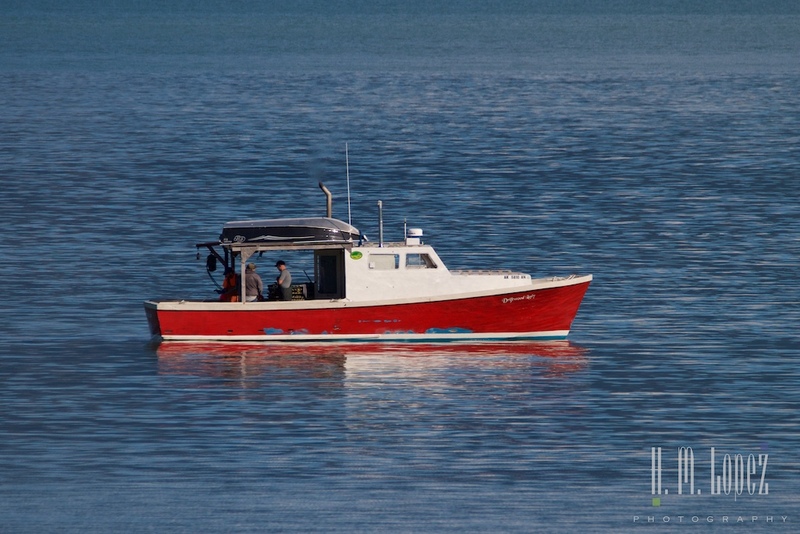 Check out my review of the Port of Newport RV Park and Marina here. 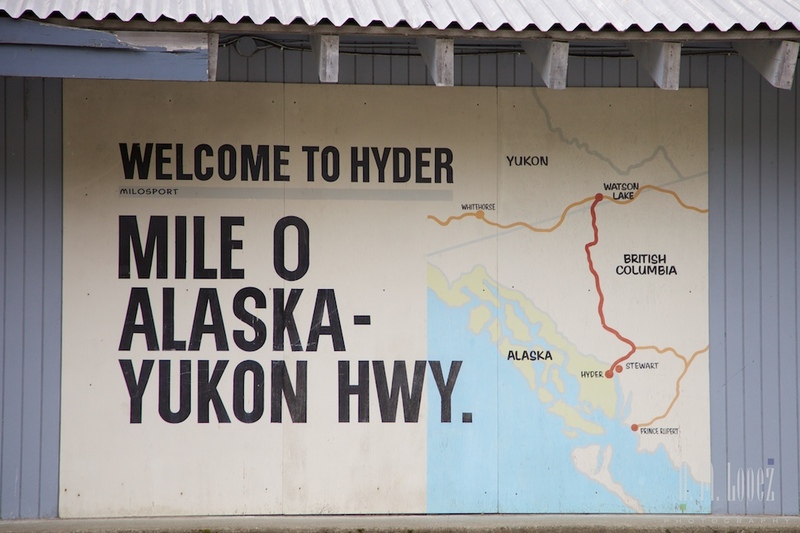 Our departure from Hyder and on the Yellowhead Highway was delayed a bit due to the search by Canada customs officials. 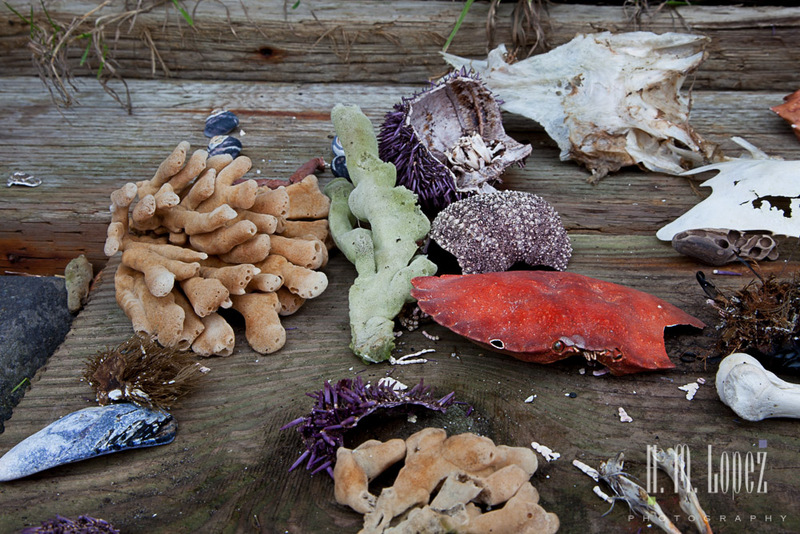 But we also uncovered something very interesting. The previous night we heard a really loud bang that to me sounded like an avalanche gun. But one of the women at customs informed us that it was actually an earthquake in the fjord. It was a fairly small earthquake but one very close to the surface thus the loud bang. 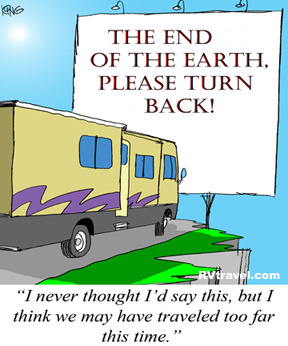 We have heard about a couple of earthquakes while in Alaska, some of which fellow RVers actually felt. Ay, ay, ay. 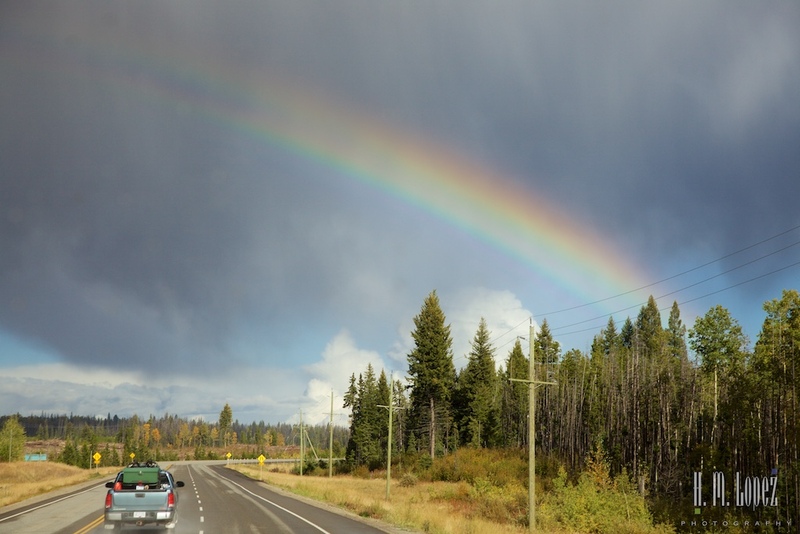 But we had other concerns – our inverter was still not working, and on our way into Hyder, the check engine light had flashed for a couple of brief moments. I wondered if Island Girl was trying to tell us that she was tired and needed a break. As we left Hyder, however, Island Girl seemed ok (except for no inverter). 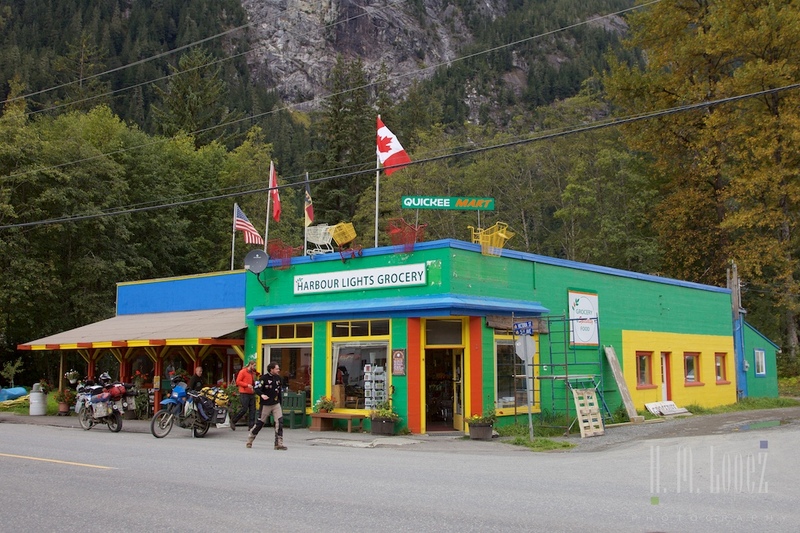 It was another cloudy day and we went back on the Cassiar heading towards “civilization”, hoping to take care of Island Girl’s issues on the way. And the town most likely to be able to provide the services we needed was Prince George. But Prince George was a long way out so we were planning to take a couple of days to get there. 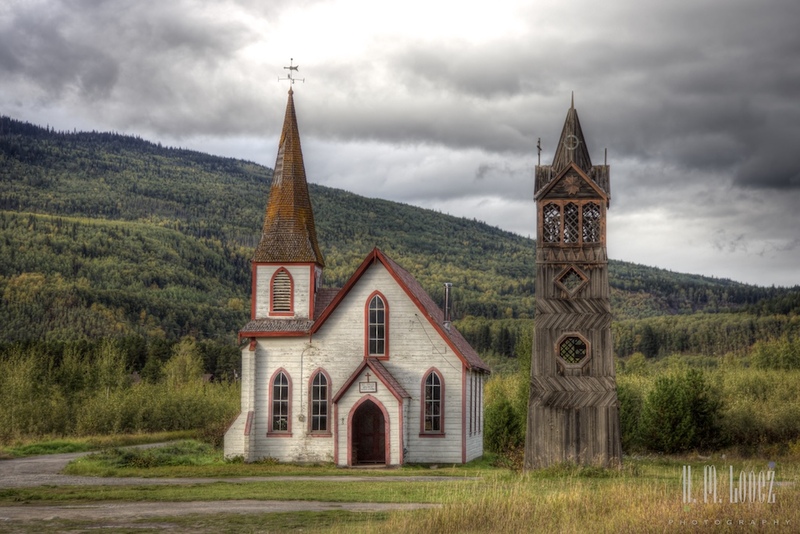 Shortly after leaving Stewart we turned on to the Yellowhead Highway, and drove through several First Nation villages that are known for their totem poles: Gitwangak, Kitseguecla and Kispiox. We just had to stop to look at the totem poles. 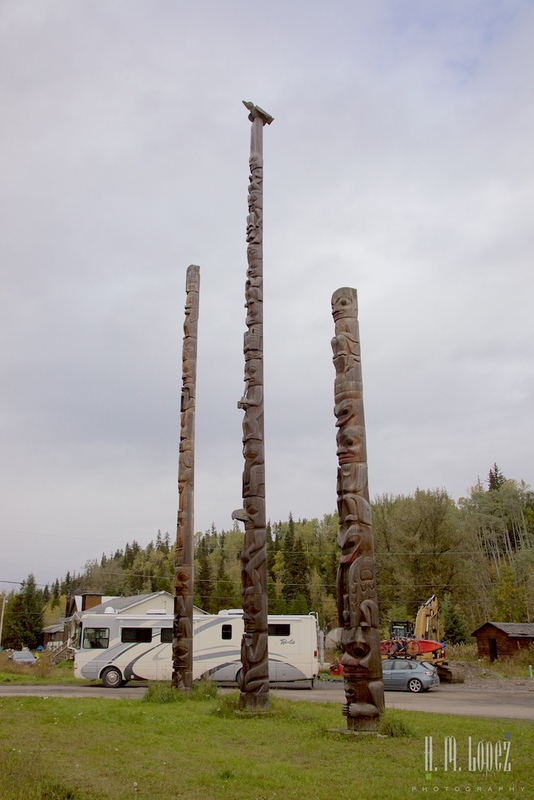 Many of them were antique totem poles and some were in their original locations. 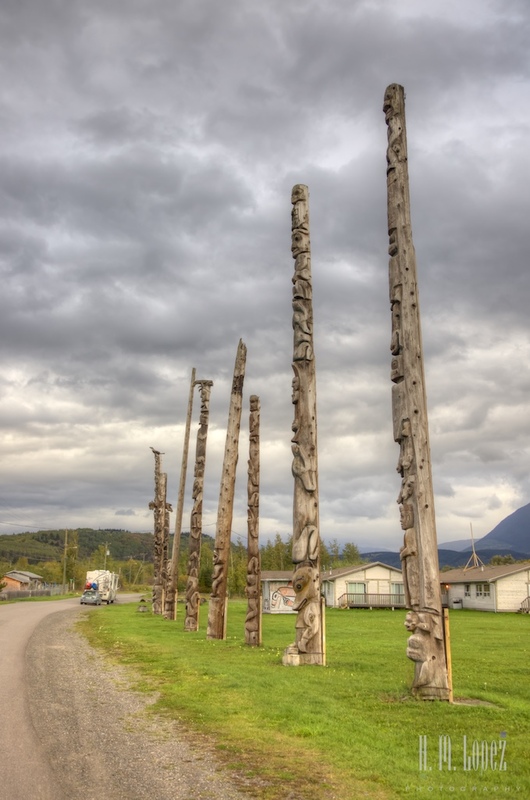 Totem poles originally served as emblems of a family or clan and their kinship system, and symbols of their accomplishments, adventures, stories, rights and perogatives. 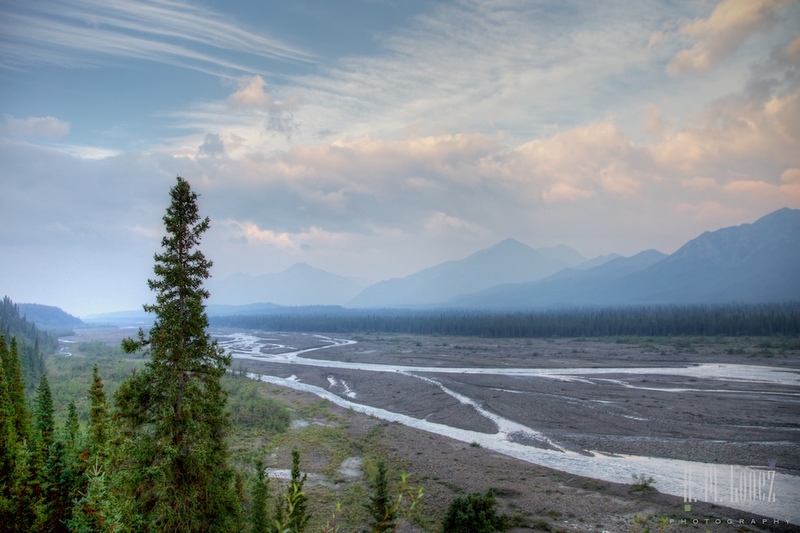 We spent a lot of our time visiting the Chilkoot River in Haines. This beautiful river is where the salmon run, and where we found the Chilkoot bears, as well as eagles, seagulls and others vying for the nutrient-rich fish. 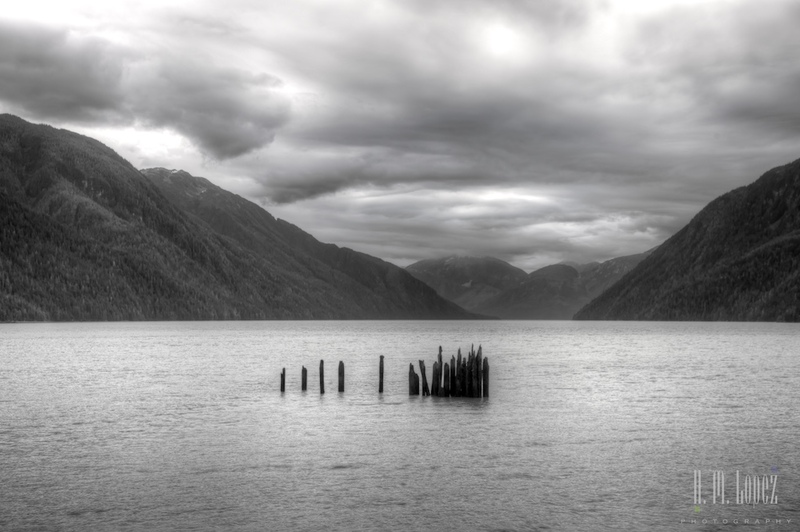 The Chilkoot is surrounded by forest and and empties into a lovely lake, the Chilkoot Lake, which in turn empties into another section of river, where we visited frequently. The rain was beginning to catch up with us and we had a couple of pretty dreary, rainy days, but most days we made at least one visit looking for the bears. 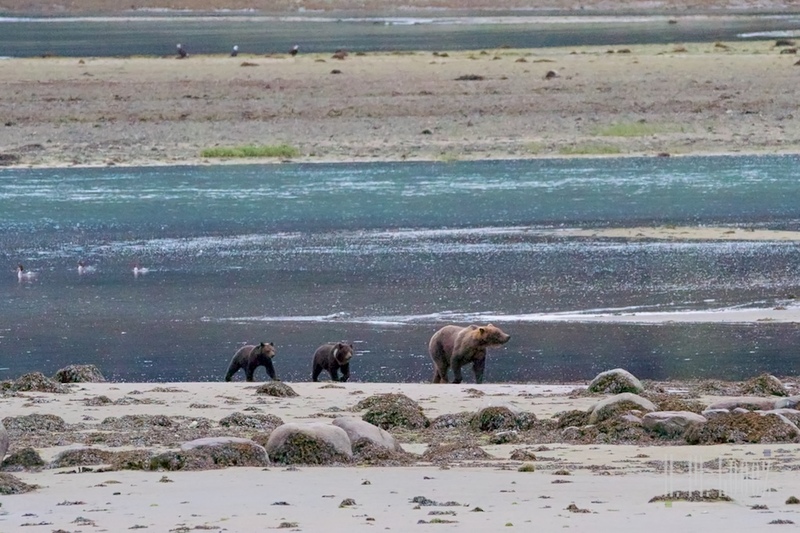 No luck the first couple of times, but we finally spotted a sow and her cubs at the mouth of the Chilkoot River where it then dumps into the Lukat Inlet. 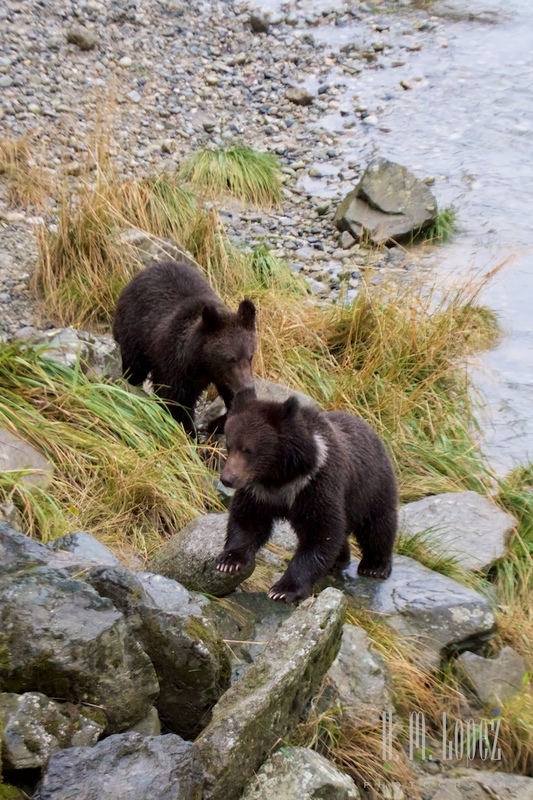 These two cubs were our first grizzly cubs of the year! 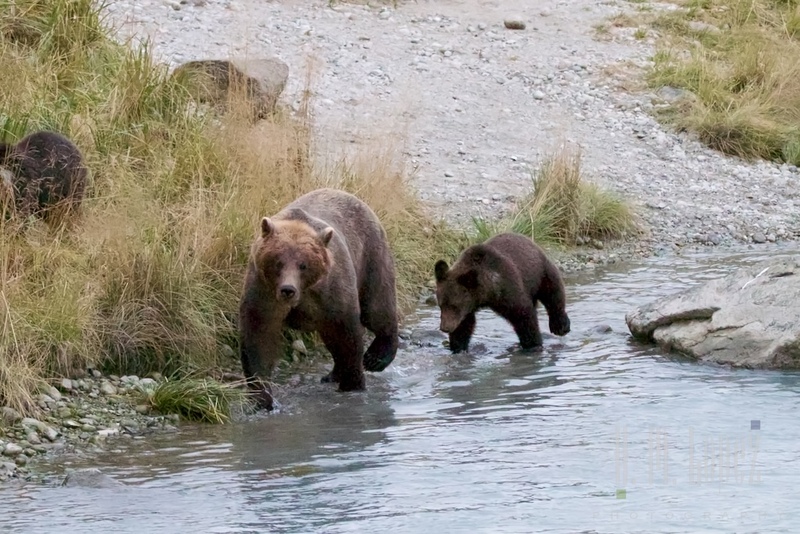 We saw several black bear cubs back in Yellowstone and we saw quite a few grizzly bears in Yellowstone and Denali, but no grizzly cubs. 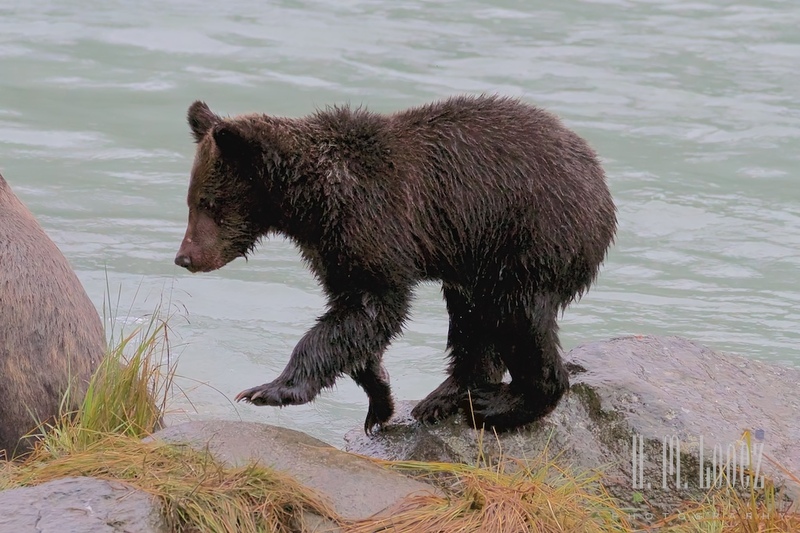 Grizzly bear cubs have an adorable feature, they have white fur around their necks. 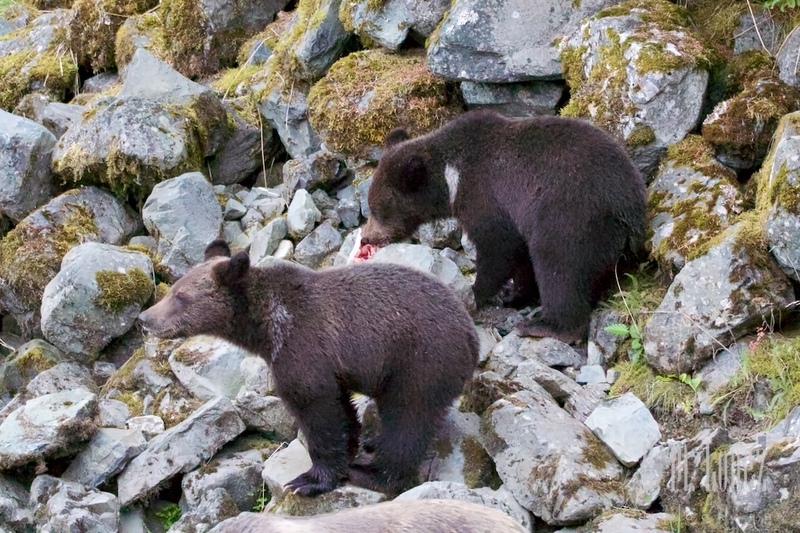 Since they are born early in the year, during the sow’s hibernation, the white fur is almost gone on one of the cubs, but the other still has an almost complete white collar. 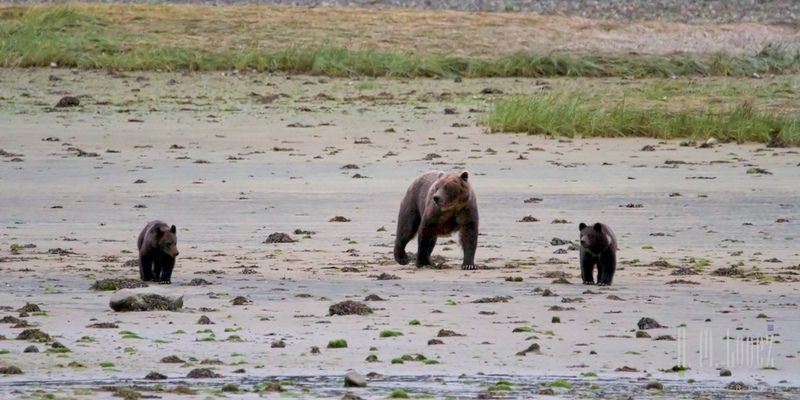 We watched the sow and cubs fishing along the beach. 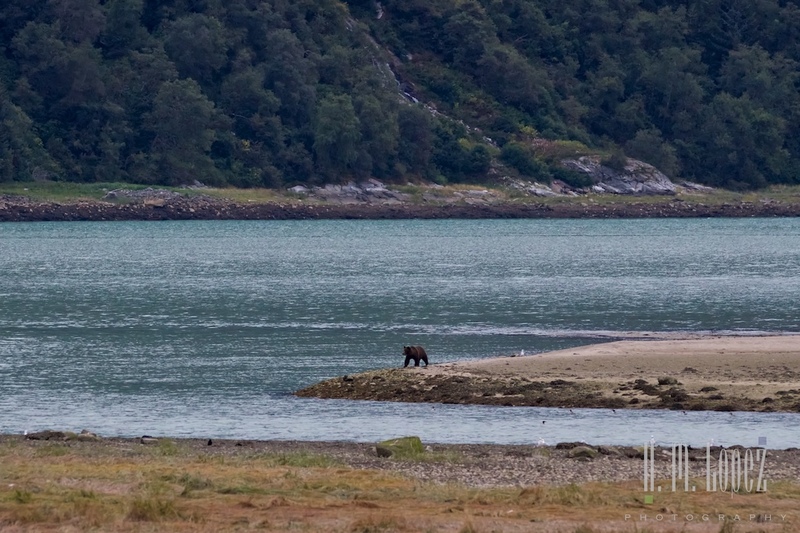 Then we saw another bear on the other side of the river mouth, also feeding. 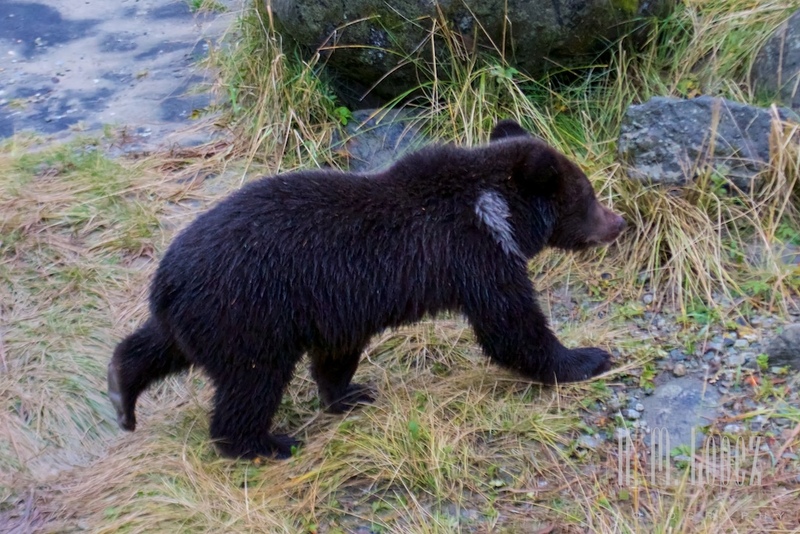 The other bear was working his (we assumed he was a male) way towards the beach where the sow and cubs were. All of a sudden, he got in the water and started swimming towards the beach. 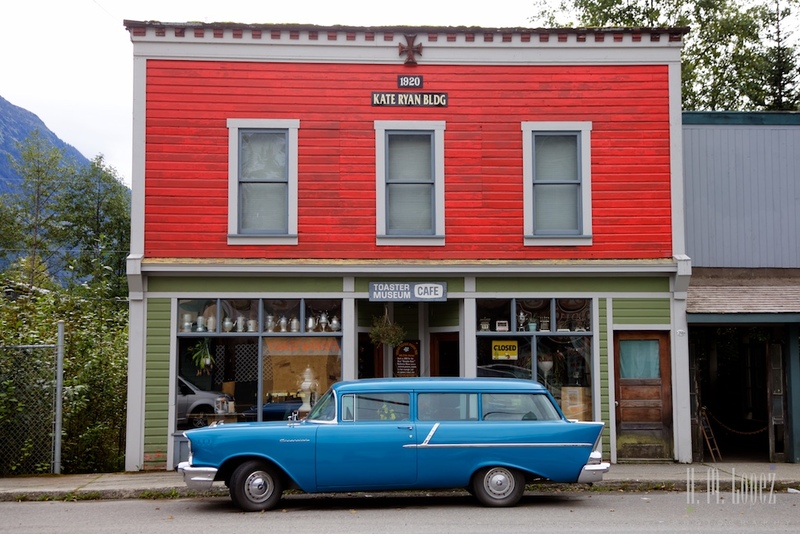 There was something we really liked about the quirky town of Haines when we visited eight years ago. We had some delicious fish and chips for lunch and a beautiful float down the Chilkat River, where we saw lots of eagles. But this was also the place where we almost missed our cruise. 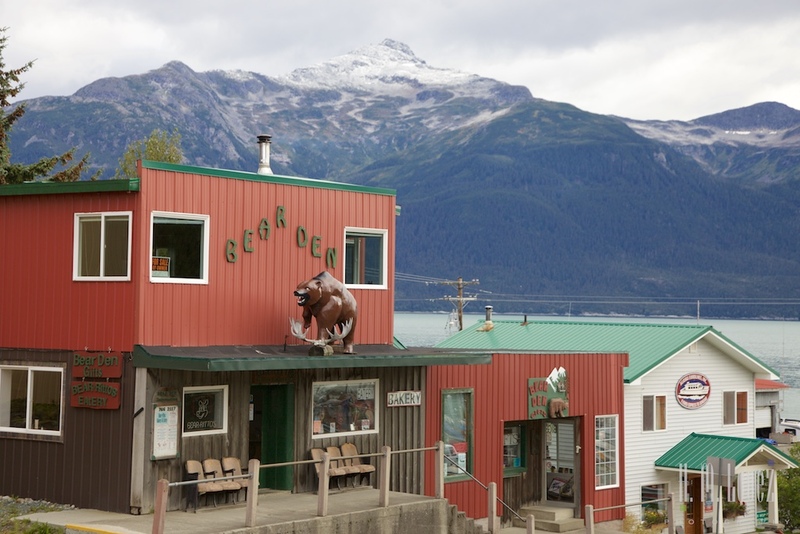 After our rafting trip, we had scheduled a ferry back to Skagway, our port of call. We scheduled the next to last ferry that would get us back in time so that if something went wrong, we had one more ferry we could take. When we got to the dock we found out that one of the ferries damaged a propeller and was out of service so the entire schedule was disrupted. Now there was no ferry scheduled that would get us back to Skagway in time. This is the danger of going off on your own from a cruise, they will not wait for you if you are late. We freaked out. Because of an extremely nice and resourceful lady at the ferry office, we were saved. 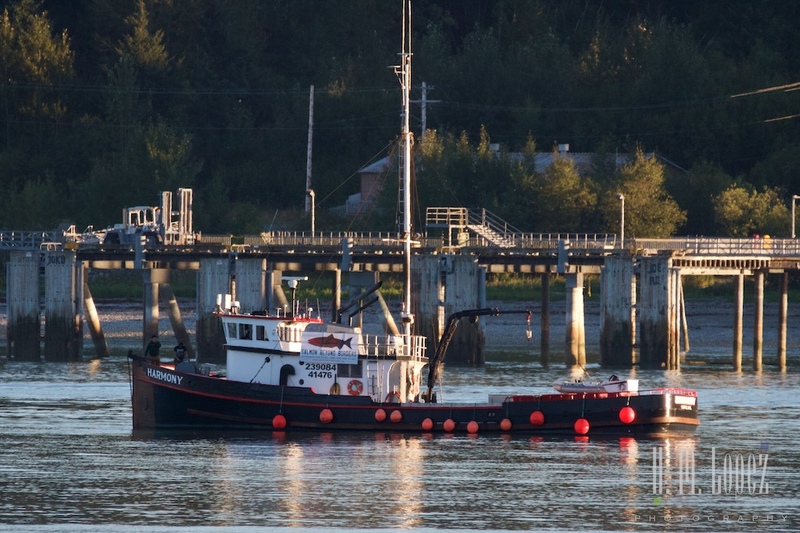 She got one of the tour cruises that had gone out from Skagway and was on its way back there, not scheduled to stop in Haines, to detour and make a very brief stop at the dock. We literally had to run down the dock and jump on the boat. She also arranged for the cruise line to have a car at the dock ready to drive us straight to the ship on the other end. And we just made it! One little door was open on the side of the giant cruise ship. And we jumped in with seconds to spare. 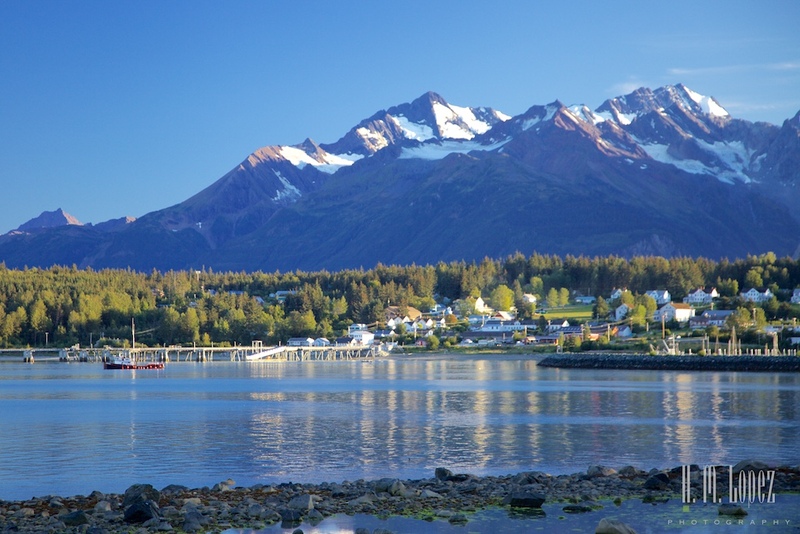 So Haines had a really good vibe for us and we have been looking forward to returning. Now we were back. Driving down the Haines Highway after crossing the U.S. border we saw the Chilkat River that runs alongside the road. To our disappointment, but not terribly surprising, we did not see many eagles. 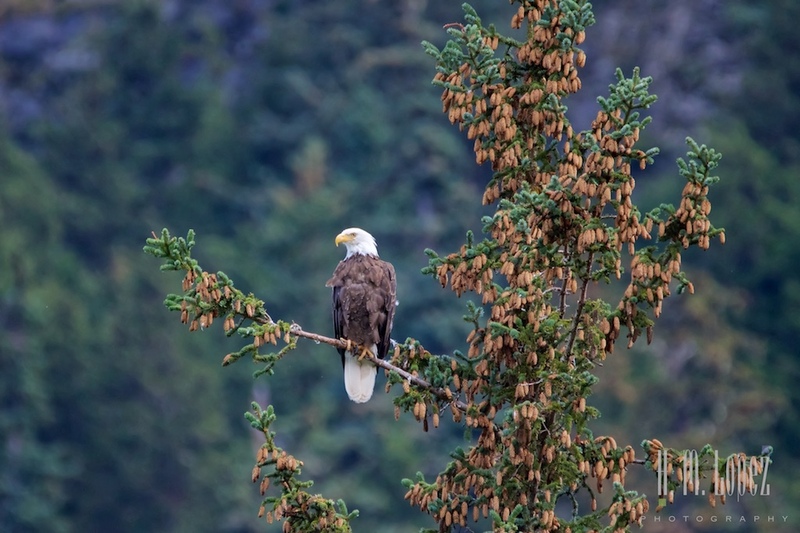 The Haines area is known as The Valley of the Eagles because thousands of eagles come to the ice-free section of the Chilkat for a very late salmon run in November, but most of these visitors leave between spring and summer. 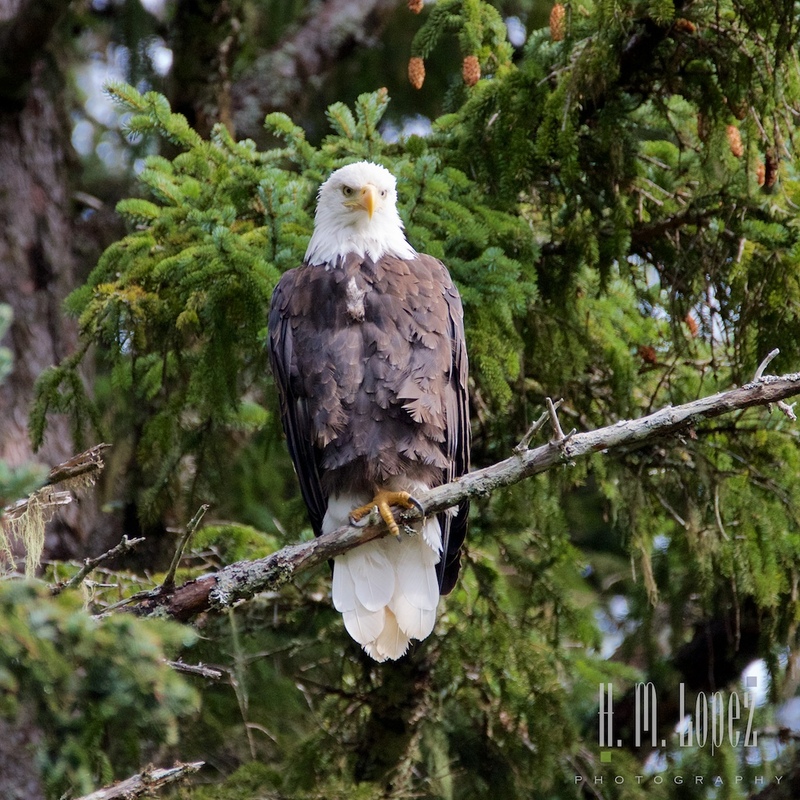 But there are still several hundred resident eagles that you see all the time around town. And the town has a lot more to offer than eagles. 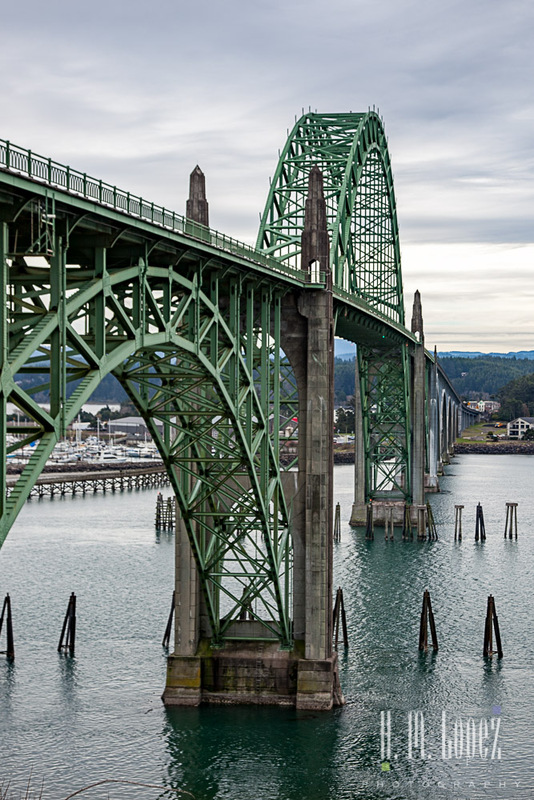 There are museums, a brewery, a distillery, a farmers market, shops and restaurants, hiking, boating, fishing and more. 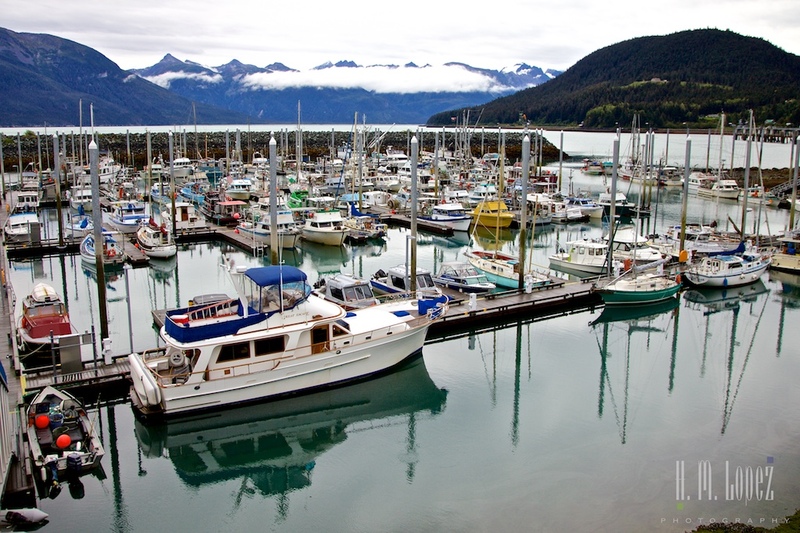 This little piece of Alaska is connected to other Alaska towns by sea – ferries take you to Juneau, Skagway and on to other towns in the Inside Passage. But it is also pretty isolated, and the only road to town is part of Canada. There is no drugstore here, which we found out when we needed to refill a prescription for Angel, there is no really large grocery store etc. And yet there is something about this town. 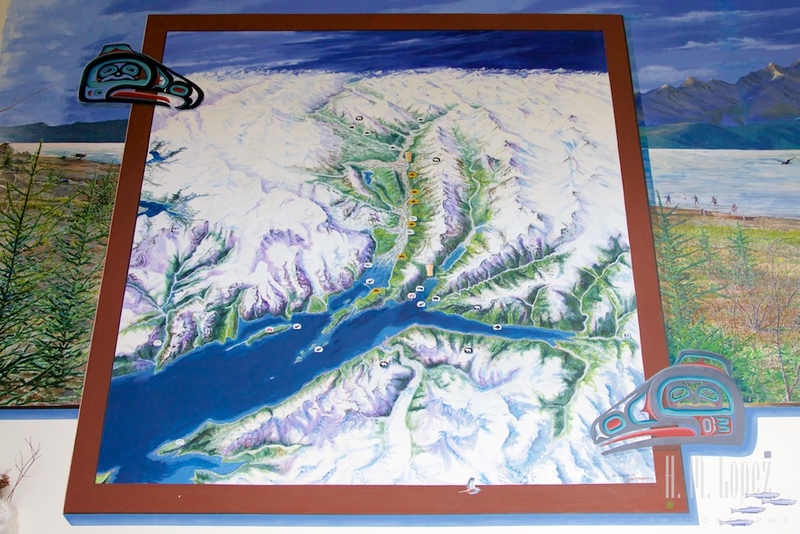 The Tlingit were the first settlers in the area about 11,000 years ago and the first to discover its riches: the abundance of fish, game, and edible plants and berries. Even for us, it was an ambitious plan. 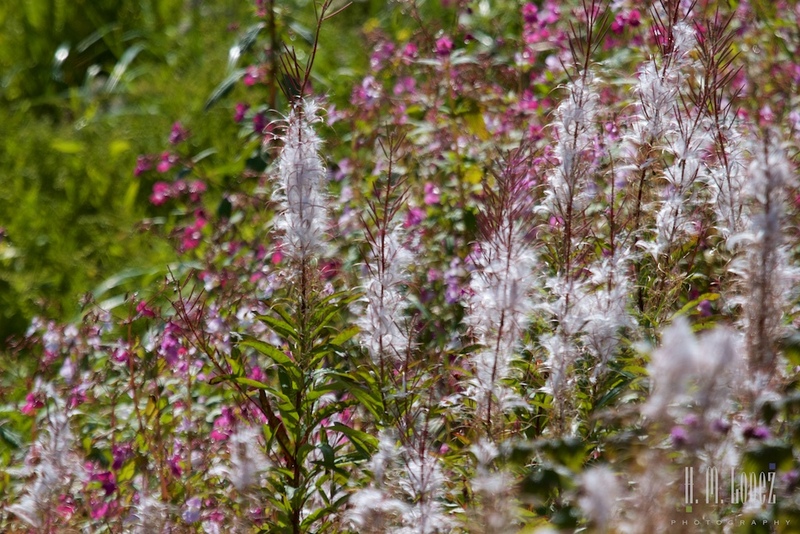 We were going to drive 400 miles roundtrip on a sketchy gravel road, the Dempster Highway, north to the Arctic Circle and back to our campground. 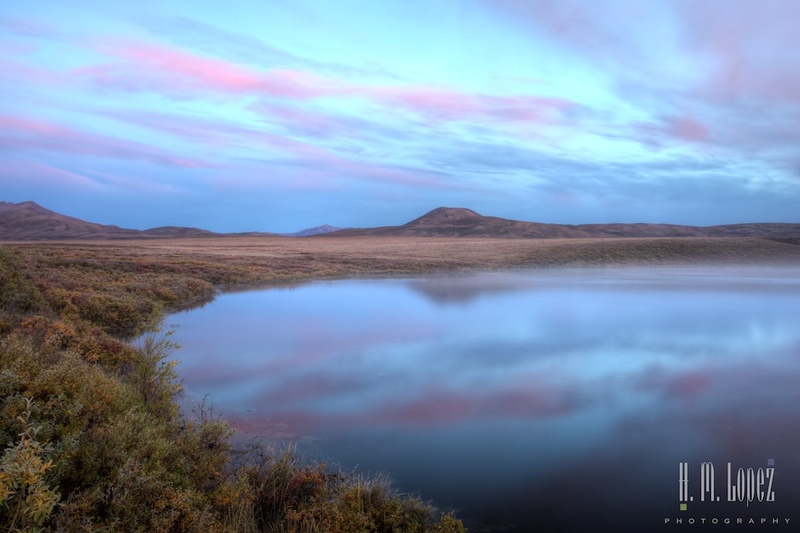 The Dempster is the only road in Canada that crosses the Arctic Circle, so it was a chance of a lifetime. I have to admit I had visions of sleeping in the car. But my more rational self figured that we would get back sometime around midnight. The three of us headed out at 5a.m. with lots of food and water. It was still dark and there was a light fog in the air. 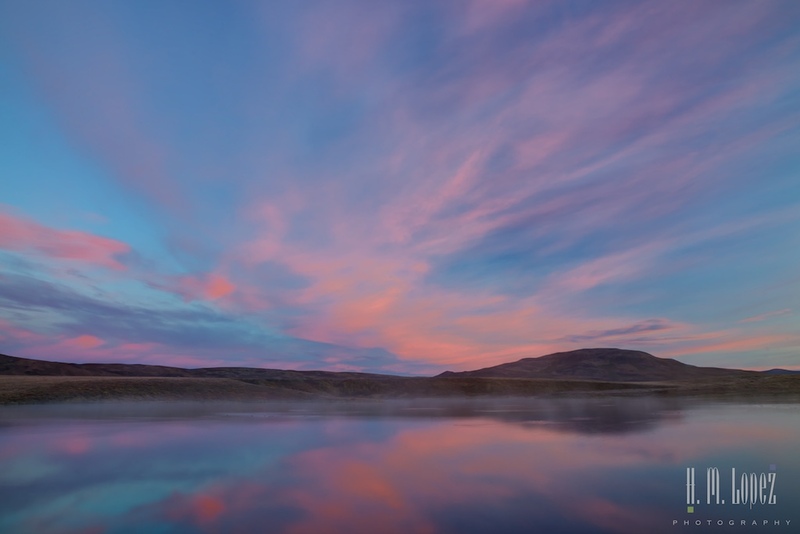 As we reached Two Moose Lake, which had quickly become one of our favorite spots, light began to filter through the fog and we were rewarded by one of the most breathtaking sunrises we have ever seen. 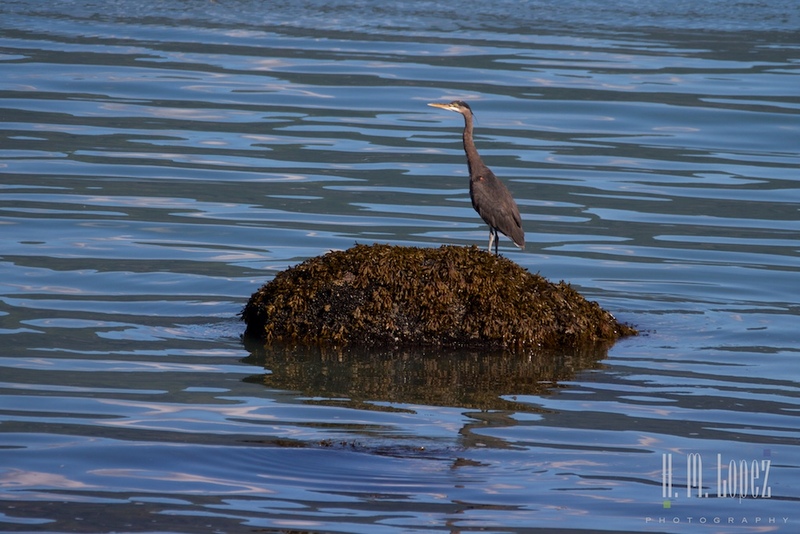 I actually had hoped to see a moose (or two) at Two Moose Lake but this was even better. With the mudslide delay, our previous day was over 14 hours again. We were sleep deprived, but somehow still had lots of energy. So we headed out shortly after 6 a.m. The morning was cloudy, which was forecast, but there was also a strange haze in the air, making it tougher for photography. So this day was presenting Hector with a different type of challenge. 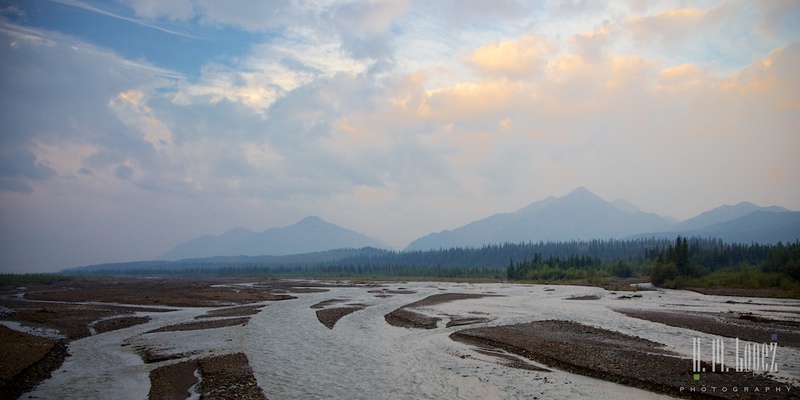 The Teklanika River was still lovely, though, and we got a glimpse of a soft, pretty, smoky sunrise. Where is Island Girl today? We’re off to Baja California!